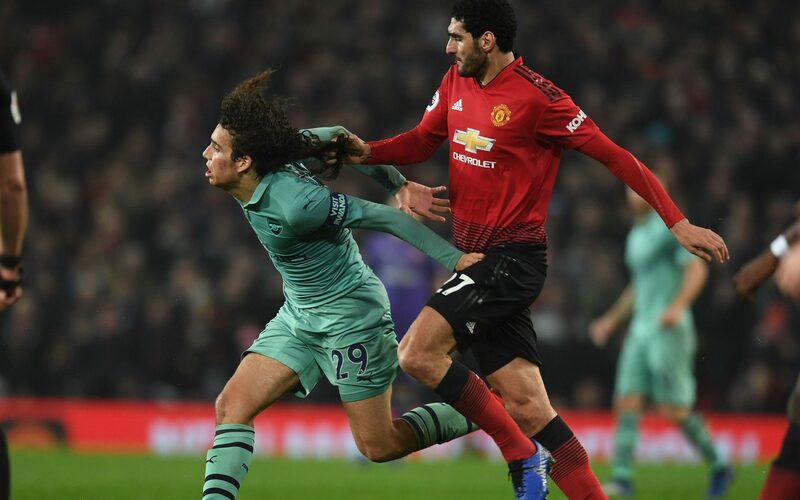 Unai Emery has joked that Matteo Guendouzi should cut his extravagant hair if he wants to avoid a repeat of Wednesday’s night hair-pulling incident with Marouane Fellaini. The Arsenal midfielder was tugged back by his hair by Fellaini in the second half of the 2-2 draw at Old Trafford. Fellaini will not face any retrospective action for the foul because it was seen by Andre Marriner, who decided not to book the Manchester United midfielder. Fellaini has in fact been on the receiving end of similar treatment in the past. The Belgian, who only recently shaved his own sizeable hairdo, had his own hair pulled by Leicester City defender Robert Huth in 2016. Huth yesterday tweeted that he had “taught him well” alongside a picture of Fellaini. Which two of Arsenal, Chelsea, Man Utd and Tottenham will finish in top four?